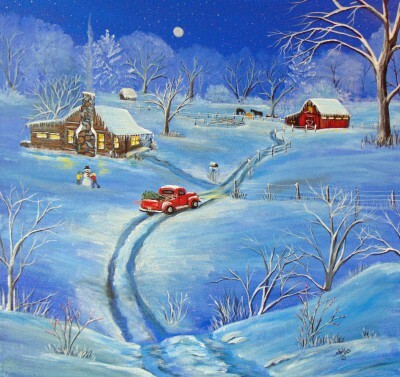 Description: Christmas painting for 2014. Done on square gallery canvas 24"x24". Prints can be done on any square size.